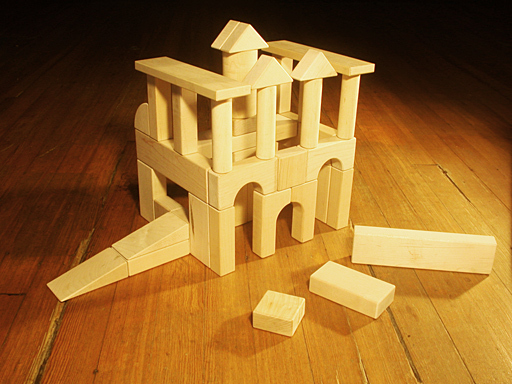 A complete Infant-Toddler Wooden Unit Blocks Starter Set for homes, home schooling, home-based childcare, or family unit block play with 45 blocks in 12 block shapes to support construction, tactile learning, and guided dramatic play for 1 infant or toddler. This 45-block set is infant- and toddler-safe and specifically designed to get your set of Standard Unit Wooden Blocks started on the right path. Use this set to play with your toddler, introduce block shapes, and play “pretend” with your child. Our Standard Unit Wooden Blocks grow with your toddler. 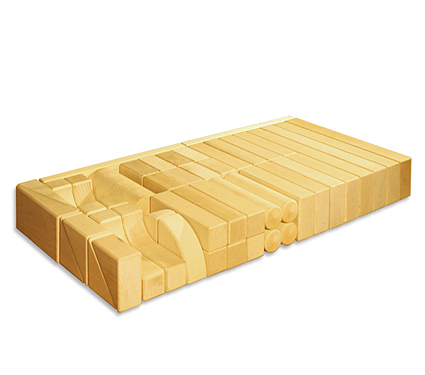 Our wooden blocks are safe for ages 6 months and up. They are completely free of borates, pesticides, and fungicides commonly added to rubberwood after harvest. We use only 100% Hard Rock Maple. We manufactured on demand in the United States from Custom Milled FSC®-Certified Hard Rock Maple. Each block is accurately cut to within half of 1/100 of an inch. Start Your ONCE A YEAR Unit Blocks Tradition — Give Unit Blocks. As annual holiday OR birthday gifts, you get the highest quality infant-safe unit blocks at prices you can afford. START with the Infant Toddler Unit Blocks Set and add ONE Unit Blocks booster set each year, in any order you choose. Start Your TWICE A YEAR Unit Blocks Tradition — Give Unit Blocks. Option 2: Add 4 Unit Blocks Booster Sets and 4 small Unit Block Rx Sets over the next 3 to 4 Years. As semi-annual holiday and birthday gifts, unit blocks keep on giving. 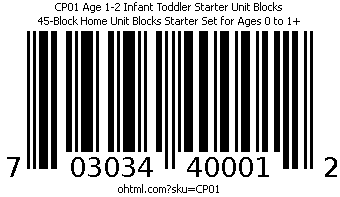 START with the Infant Toddler Unit Blocks Set and add ONE Unit Blocks booster set each year and ONE small Unit Block Rx Set, in any order you choose. The Hard Rock Maple Unit Blocks that you buy today with last for generations. 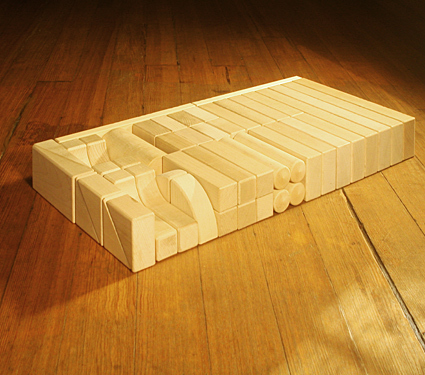 Our CP01 + CP03 + CP04 equals our own CP31 Preschool Center Unit Blocks Set (150 blocks, 20 shapes) made with Hard Maple. Compare these unit blocks sets to Community Playthings G431 Preschool Set (149 blocks, 20 shapes), which is now made from cheaper, grey-colored Soft Maple instead of true Hard Maple. Our CP01 + CP03 + CP04 + CP05 equals our own CP61 Quarter Classroom Unit Blocks Set (190 blocks, 20 shapes) made with Hard Maple. Compare these unit blocks sets to Community Playthings G461 Quarter School Set (180 blocks, 20 shapes), which is now made from cheaper, grey-colored Soft Maple instead of true Hard Maple.